For all the latest news and media resources on The Shepherd Centre. Prepositions are very useful words. They show the relationship between a noun and another word in the sentence and also indicate the location of the noun in relation to an object. Children start to hear prepositions from an early age (at two years old) when they are picked up, or put down, when they spin around and around and so on throughout the day. Prepositions are an important word class for children to learn as their vocabulary starts to grow and they try using two-word phrases. They can be used to make requests (e.g. ‘up?’), comments (e.g. ‘fall down’) and answer questions (e.g. ‘there’), among other functions, which makes them very powerful little critters! Children learn to understand and use prepositions at different ages and stages of their development. We aim first to teach children to understand what the preposition means and then we teach them to use the preposition in meaningful contexts. 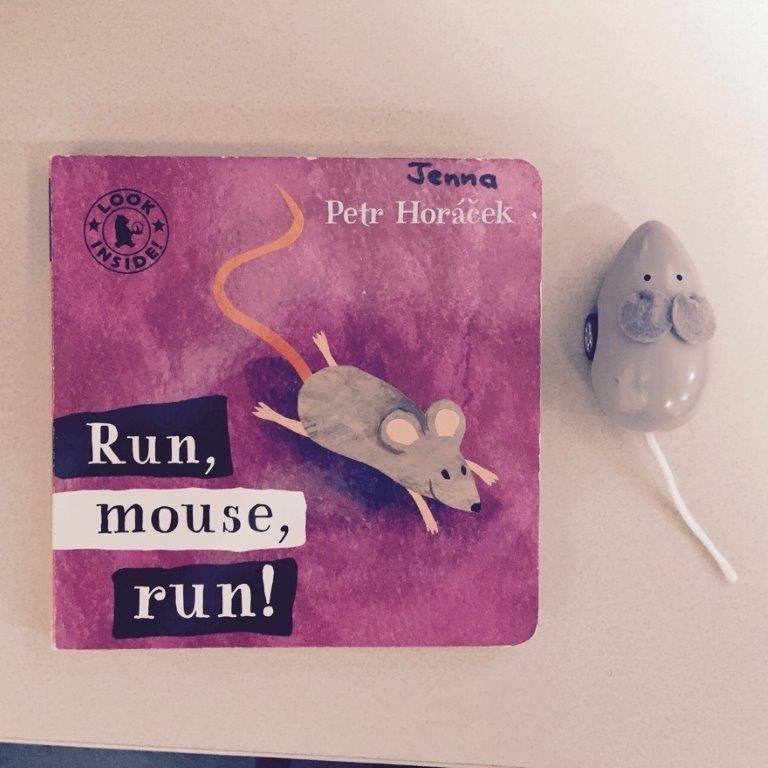 Our Book of the Month – ‘Run, mouse, run!’ by Petr Horacek – is a fantastic way to target prepositions with your child. A little mouse runs up, down, across, in, out and through the pages of the story to escape the household cat who is hungry for lunch! Find a toy mouse and objects from the book to act out the story, highlighting the prepositions as you go. Acting out the story after you read the book together is a nice way to consolidate the prepositions you’re learning. Take photographs as you act out the story and make your own photo book. The main character could be the mouse or your child who is trying to escape a cuddle! Play a game of Hide and Seek where you search for someone around the house looking under things, behind things and walking around the house talking about where the person is and isn’t as you go. Hide a favourite treat around the house and give your child instructions as to where they should look to find it, then give your child a turn to hide something and tell you where to look. Make a mouse out of an egg carton or toilet roll, with string for a tail and googly eyes if you have them. As you build the mouse together, talk to your child about what you are sticking on and where it goes. Hopefully these ideas will help you model some ‘Where?’ questions and show your child how to answer them.